Two people, one journey, from slavery to healing. 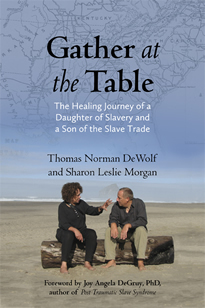 Gather at the Table, The Healing Journey of a Daughter of Slavery and a Son of the Slave Trade is the chronicle of Tom DeWolf and Sharon Morgan’s shared journey toward racial reconciliation. 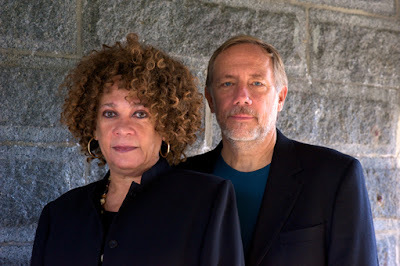 Over a three year period, the pair traveled thousands of miles—visiting ancestral towns, courthouses, cemeteries, plantations, antebellum mansions, and historic sites both overseas and in twenty-seven states—and engaged in deep conversations about how the lingering trauma of slavery shaped their lives. DeWolf and Morgan will share the story of their journey and lead attendees through an interactive exercise. 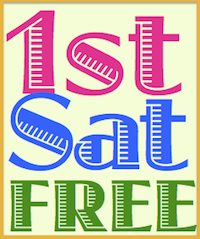 Museum admission: $10 adults, $5 seniors (65 and over) and full-time students with ID. FREE for children 12 and under. Seating is limited to the first eighty people. Please arrive early. This event is sponsored by the African American Genealogical Society of Northern California (AAGSNC), Museum of the African Diaspora, and the California Genealogical Society and Library. Update: Authors Sharon Morgan and Tom DeWolf were interviewed on Christmas Day by Celeste Headlee on "Tell Me More" on NPR. You can read the transcript or listen to the program stream Descendants of Slaves, Slave Traders, Come Together.